What Makes Headphones Great for Programming? All-day comfort. If you’re actively noticing you’re wearing headphones, that’s a bad sign! Your headphones should be helping you block out distractions, not becoming a distraction themselves. We chose headphones that remain comfortable for long sessions of coding. Great noise cancellation. As we mentioned earlier, blocking out external noise can be key to keeping you focused. Our headphone choices have either active or passive noise cancellation. Professional styling. We’re assuming you want to look like a professional if you’re wearing these headphones in the office, so we won’t be picking anything with a gaudy design that screams “gamer”, “hip hop”, or anything of the sort. You’re might be wondering what “active noise cancellation” is and if you need it. First, let’s start with passive noise cancellation. Passive noise cancellation is when a headphone blocks out ambient noise simply by physically blocking it out. Nothing fancy here, just blocking out sound waves by blocking out your ear canal or wrapping headphones around your entire ear. Active noise cancellation is much fancier. With an active system, the headphones have tiny microphones that listen for external noise in order to gauge what’s going on in your environment. 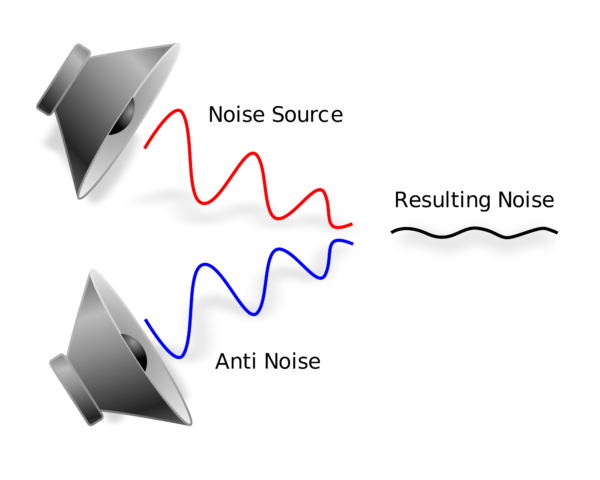 By measuring the sound haves coming in from external sources, it emits its own opposite sound waves to your ears that effectively cancel out the ambient noise and leave you with a pure listening experience. Since active noise cancelling headphones actively emit sound waves to cancel out external sounds, they do require batteries. Some may have a rechargeable battery and others take a AAA battery in order to function. Most will let you turn the noise cancelling on or off as desired. These headphones are also great for airplanes, so a bonus if you travel! 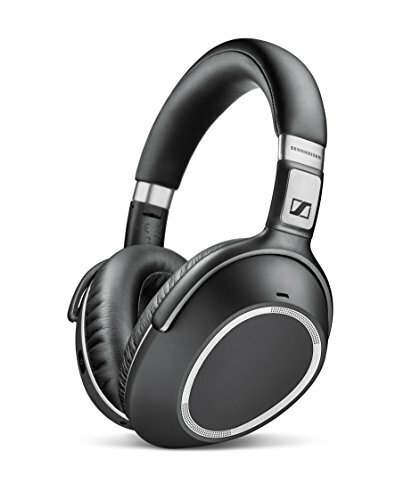 On the high-end of the programmer headphones spectrum are the Sennheiser PXC 550 Wireless Bluetooth Headphones. Bluetooth connectivity. Wirelessly connect to your music source. No wires that get tangled or stuck on your chair when you move around. Active noise cancellation. Sennheiser delivers some of the best active noise cancellation in the business by using an array of 3 microphones to get the sound cancellation just-right. Rechargeable battery. On a single charge, you can get about 30 hours of listening. In the event that the charge runs out, you can use a detachable cable to plug into a sound source and listen without the active noise cancellation. You can charge through any USB outlet. Lightweight and flexible. Being lightweight and designed with ergonomics in mind, these headphones are perfect for longer sessions. Being collapsible, you can easily transport these around with you on the go. Headset capability. 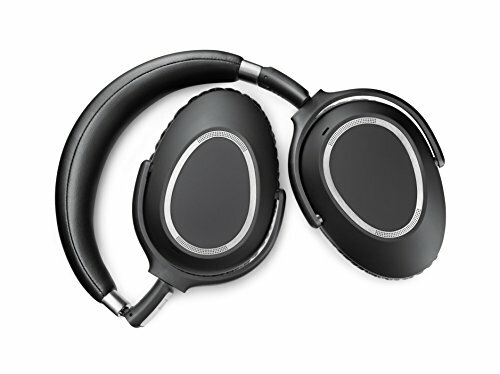 The same microphones these headphones use for noise cancellation can also be used as a headset, so these pretty much double as a Bluetooth headset. Many people prefer earbuds to over-the-ear headsets, especially for longer listening sessions. 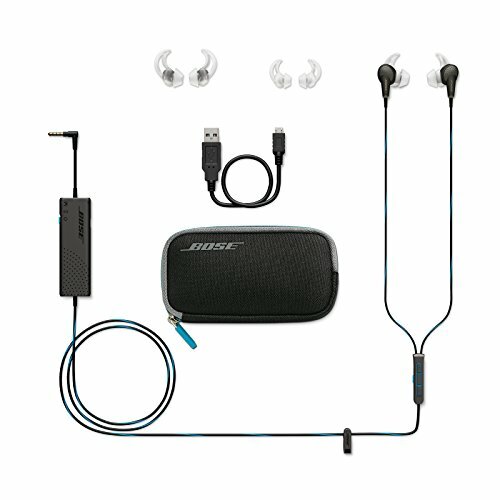 If that’s you, then the best option available are the Bose QuietComfort 20 headphones. 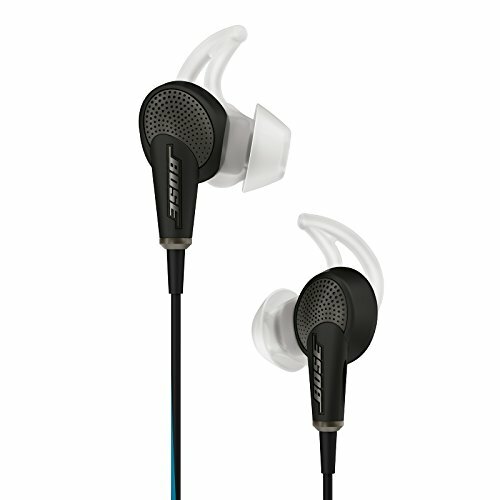 The Bose QuietComfort 20 feature active noise cancellation which runs off a rechargeable battery, about 8 hours for a charge. A few other unique features that make these an interesting pick for office life. One really cool feature is the “Active Mode“. With the press of a button you can have the earbuds play the outside noise into your headphones and cut off any music that’s playing – perfect for when someone is asking you a question and you don’t want to take your earbuds out for a minute, only to have to put them back in. The in-line control allows you to modify the volume and audio-modes quickly without having to pull up your phone or media source, which is great for productivity. If you’re looking to stay on the cheaper end of things, there are still some great options for under $50. 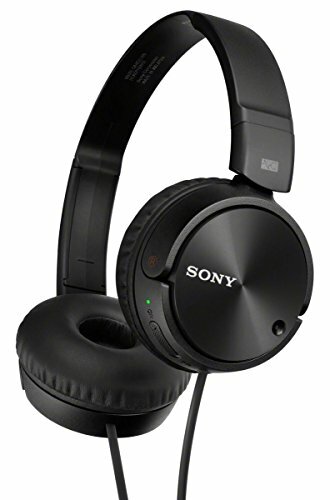 These Sony MDRZX110NC headphones feature active noise cancellation for up to 80 hours on a single AAA battery. These headphones also feature an “on-the-ear” design, which works great for programmers that wear glasses. The collapsable design also makes them easy to transport if you travel often. 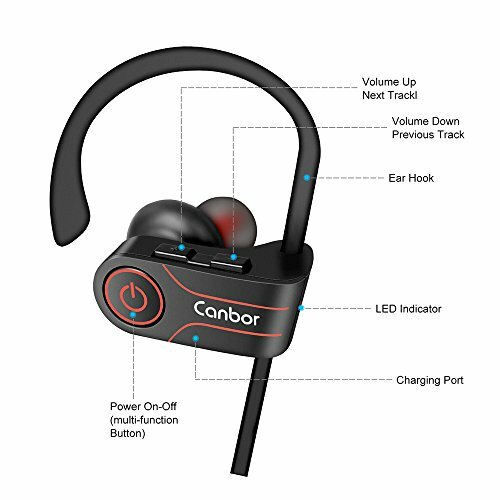 When it comes to cheaper earbuds, we like the Canbor Bluetooth Earbuds. 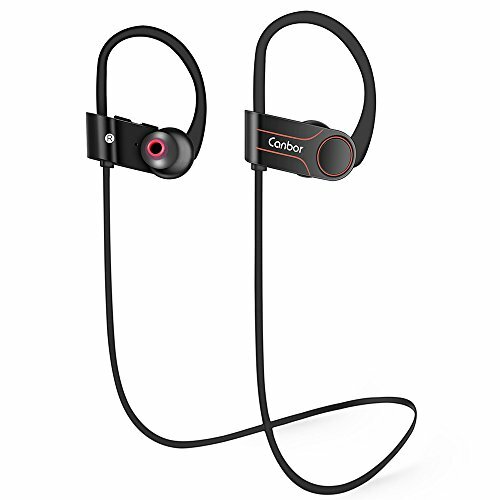 These are wireless earbuds that connect to your media source via Bluetooth, and also features controls on the earbud to pause/play, adjust volume, skip tracks, and can also be used as a Bluetooth headset when talking on the phone. You can get about 8 hours of active noise cancellation on a single charge, and these are very lightweight which is great for longer listening sessions.